In Sesame Street, Ready, Set, Grover!, Grover sets out to create a series of challenges designed to help his Sesame Street friends. Get up and go! 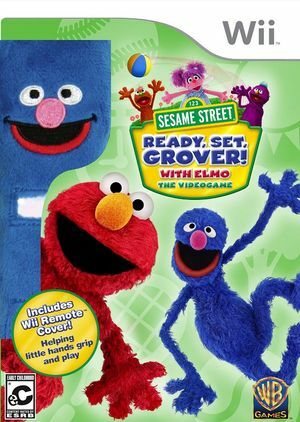 Through the course of the game, Elmo and Abby jump over obstacles, row a boat, and do what Grover says while learning important life lessons. Through their fun adventures, the game promotes physical activity, good nutrition, personal hygiene, and even the importance of rest and relaxation. The graph below charts the compatibility with Sesame Street: Ready, Set, Grover! since Dolphin's 2.0 release, listing revisions only where a compatibility change occurred. This page was last edited on 13 January 2018, at 13:21.